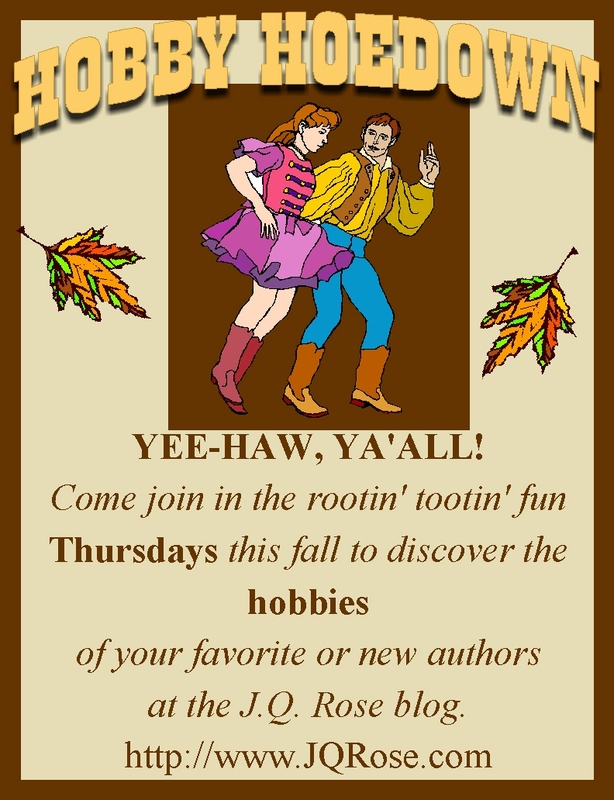 Yee haw, it's Hobby Hoedown time with author Jane Lebak. 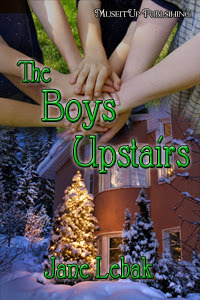 Jane is offering a digital copy of her book, The Boys Upstairs, as a giveaway. Please leave a comment to be eligible to win the random drawing. Thank you. and discovered more authors and good reads! I never really knitted until I was grieving. My grandmother crocheted all her life, even as young as 4th grade coming home from school to crochet hats so her family could sell them. She taught me too, but I never completed anything. When my own son was eight, he wanted to learn to knit, so I got a book and pestered my knitting friend until I could knit a straight line and crochet a granny square. About five months later, I'd made exactly three granny squares and finished knitting my first-ever scarf. Not very interesting. And then one December, I lost someone I loved. My knitting friend posted a very simple crochet scarf pattern on her blog, something you could make with next to no skill (that was me) and any yarn around (we had something). And I discovered it was soothing. It helped. I could pray while crocheting. I could put the pain into the motion and the rhythm, and at the end it became something. In the middle of something lost, something had been made. And I just kept going. I made another one of those scarves, donated them both, and then began knitting. I bought fluffy, soft yarn, and I knitted on big needles, and as soon as the scarves appeared, away they went to a charity. Not only did it soothe the pain, but now someone else would be warm. I branched out into hats. In three and a half months, I made seven scarves and two hats, and I started a baby blanket. I really felt a connection to the recipients when I knitted for the homeless or for the food pantry clients. 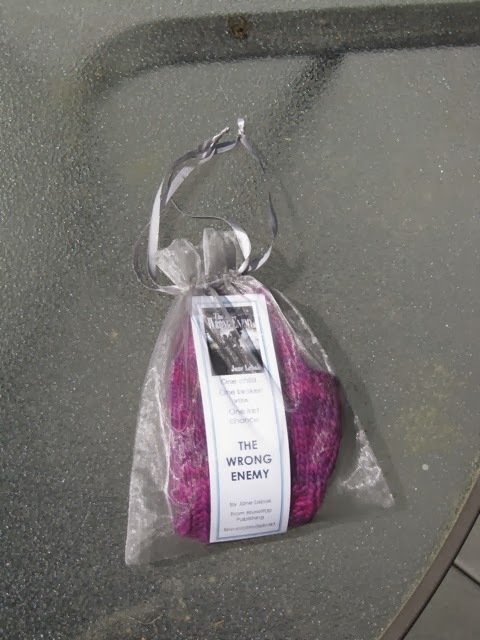 Knowing that something I made could maybe make a difference in how well a person survived was important, but even more important to me was the thought that maybe after they received the knitted hat or the knitted scarf, they'd feel loved. God, please let the recipient be one warm hat away from turning it around. Several of the characters in my book The Boys Upstairs are homeless children, and the priest in that book runs a food pantry, so I've tried to shine some light on the difficult situations good people can find themselves in. Feel loved enough to maybe have hope, and maybe hope could help a homeless person turn it around. In fact, sometimes that was my prayer; nowadays I still donate to the homeless ministries. And now, even though I'm no longer knitting because I feel sad, the same benefits still apply: knitting is time to think, time to plan, time to be useful, time to pray, time to help someone else be warm. The Boys Upstairs, the perfect read for the upcoming Christmas season. Kevin Farrell is a jaded police officer who’s trying to save three homeless children, but it’s three nights before Christmas, and the only one he can ask for help is his brother Jay, a disabled priest. The catch? He and his brother have been estranged for years, and Kevin wants nothing to do with Jay. Only now, to save these homeless kids, with temperatures below zero and falling, Kevin knows it’s going to take both him and his brother working together, if only they can mend the breach between them. 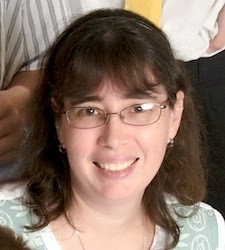 Jane Lebak is the author of The Wrong Enemy and The Boys Upstairs. She has four kids, three cats, two books in print, and one husband. She lives in the Swamp and spends her time either writing books or swatting mosquitos. At Seven Angels, Four Kids, One Family, she blogs about what happens when a distracted daydreamer and a gamer geek attempt to raise four kids. 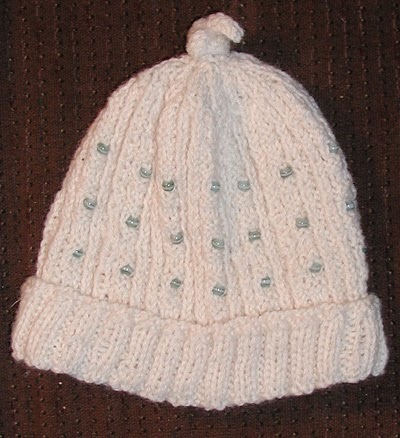 And a link to my knitting projects on Ravelry. 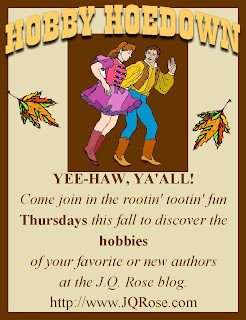 Welcome, Jane, to Hobby Hoedown. Knitting is something I always meant to learn how to do, but so far, I haven't. 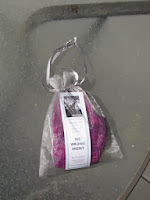 I admire your handi-work and your thoughtful gift of sharing your projects with those who need some love and caring. What a wonderful way to ease your grief by helping others. I've never knitted, but I've recieved beautiful gifts from those who do. The pictures of the hats are pretty. Thanks for sharing. Hi Lorrie, the hats are cute, but a little too warm for FL at the moment. Maybe in January? Hmmm...thanks for stopping in. This sounds like a really great hobby to have! I love the idea that you gave your projects away. That would mean so much to receive a soft, warm, cozy article like that and to think of the time spent creating it. That's a precious gift and generous of you. 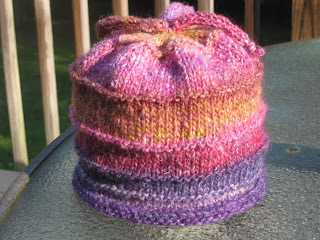 I love yarn work - it is indeed very soothing. What a wonderful way to help people and help yourself at the same time. Best wishes and lots of luck with sales. Hi Gina, thanks for stopping in. Miss Mae--I never tried to crochet either. I am needle challenged, I think. hi k8e--Maybe I should try this. I know a lady who doesn't go anywhere without her knitting...even knits during church! Leona--Thanks for stopping in today. I know you're busy with your new book. Wow... now I want to try to knit something again! I knit some pants for my 5 year old when he was one... they should fit my one year old now ;) I really want to try th fingerless gloves you show here! What a lovely story! Jane, thank you for sharing something so personal. My grandmother taught me to crochet, but I've unfortunately gotten out of the habit. Now 90, Gram is still crocheting up a storm! Have to agree. Knitting really helps all sorts of ways. 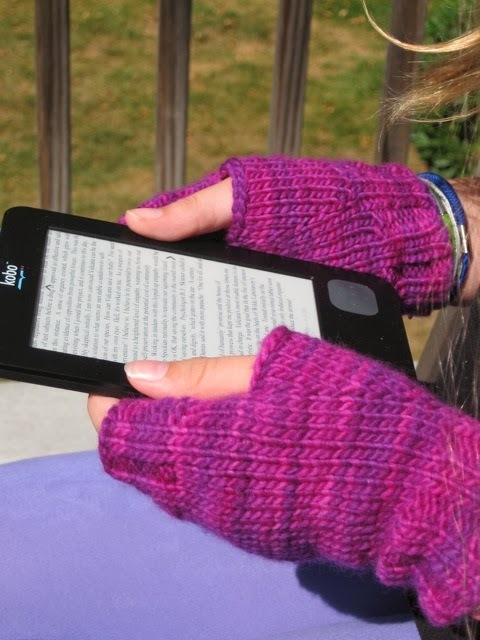 Combs and Helena, I had never heard of fingerless gloves, but they sure make sense especially for texting and reading ebooks! Heather B--I am amazed your grandma is still crocheting at 90! Keeping her young, eh? Elle--It sounds like you are a knitter too. Thanks so much for stopping in to support Jane. Hey, JQ. Jane, what a lovely post. Nice that so much good came out of the bad. Love the blurb for your book. Sounds like it's good for adults as well as kids. Good luck with your writing.